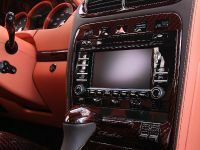 He decided to make this saying his personal motto Producing automobile highlights over and over – this is the personal motto which is firmly engraved in the Mansory philosophy. 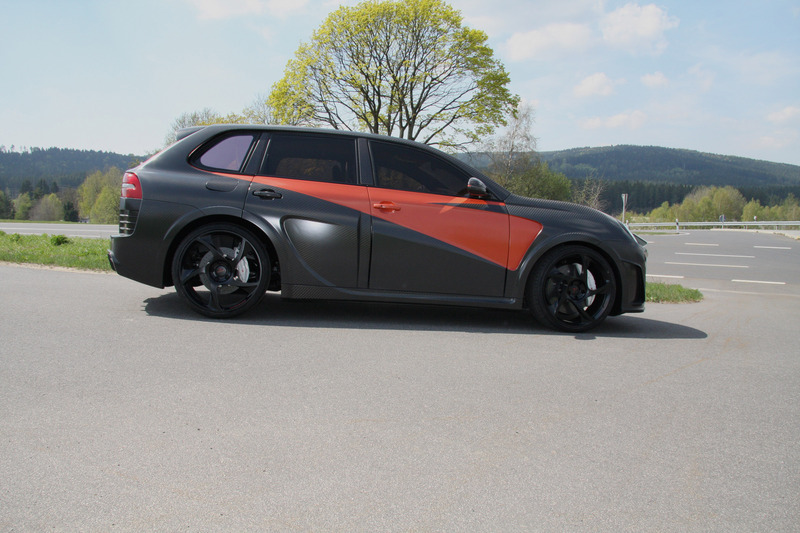 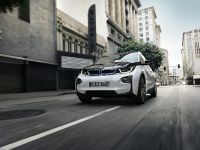 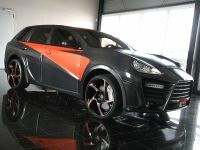 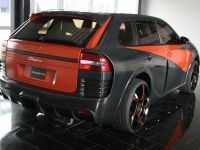 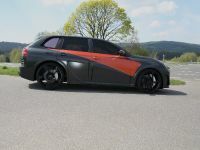 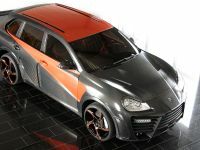 With the Chopster, the company based in the Bavarian town Brand, has successfully accomplished this once again and produced such a highlight just in time for the Geneva Motor Show 2009. 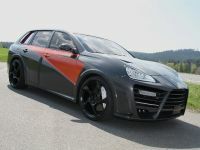 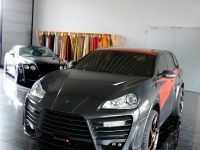 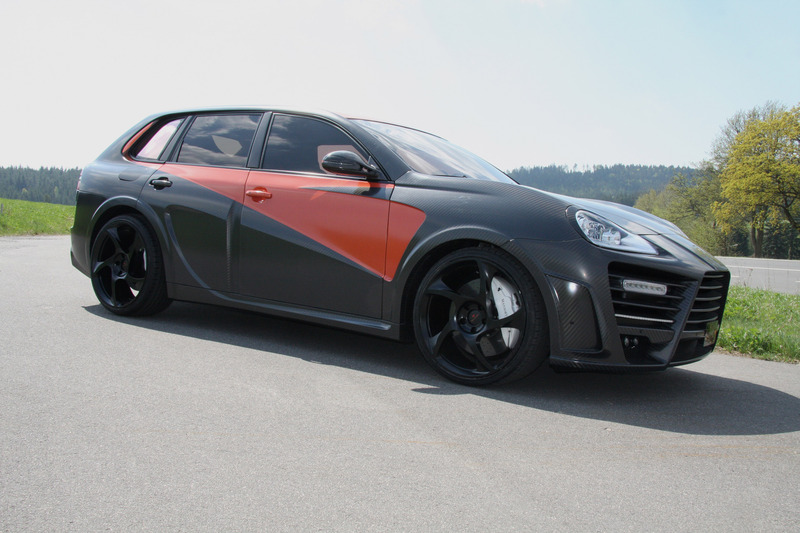 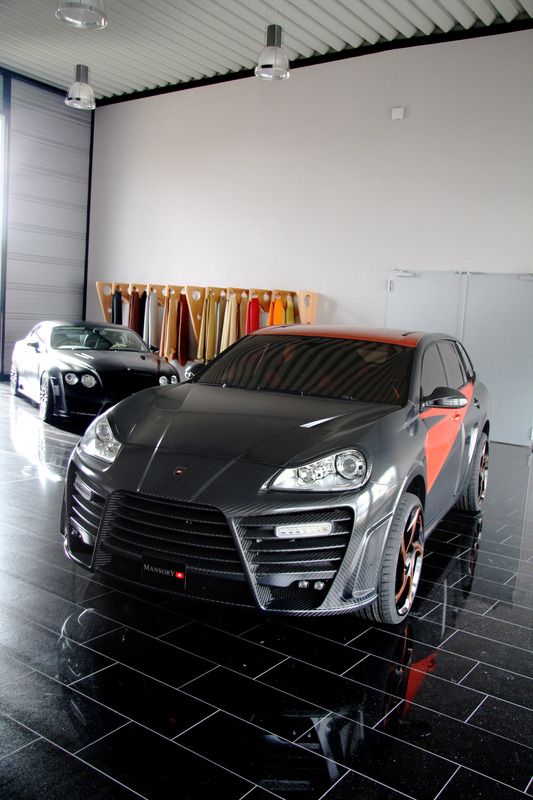 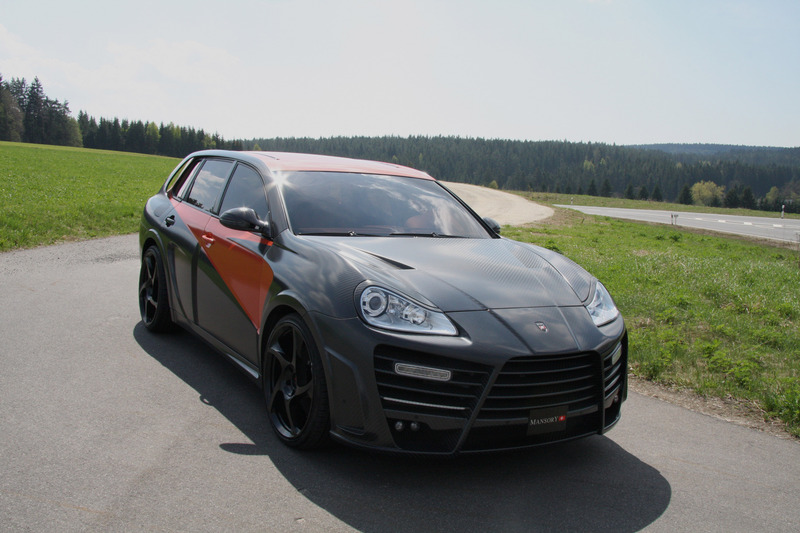 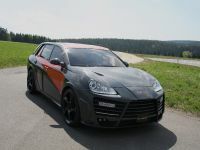 The refining expert for premium automobiles assigned this task to its subsidiary Mansory Switzerland AG – the in-house specialist for Porsche cars. 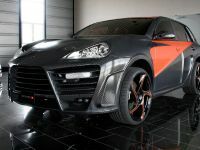 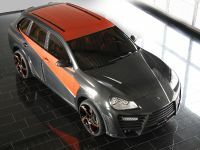 The fascinating interpretation of the Porsche Cayenne Turbo S is presented at the Mansory stand (exhibition hall 6) in Geneva. 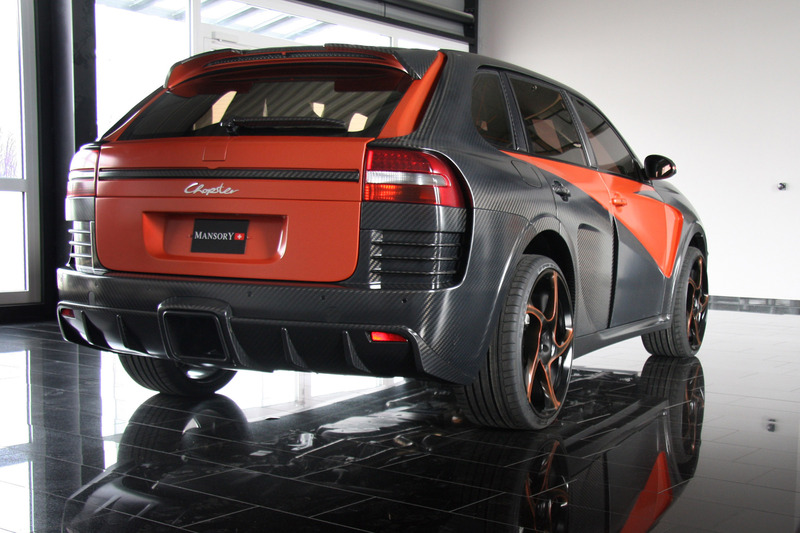 A sensational auto body styling with a lowered roof line, a brawny 710 hp turbo engine and an unprecedented abundance of interior refinements turn the Chopster into a holistic piece of artwork. 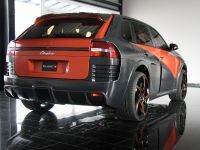 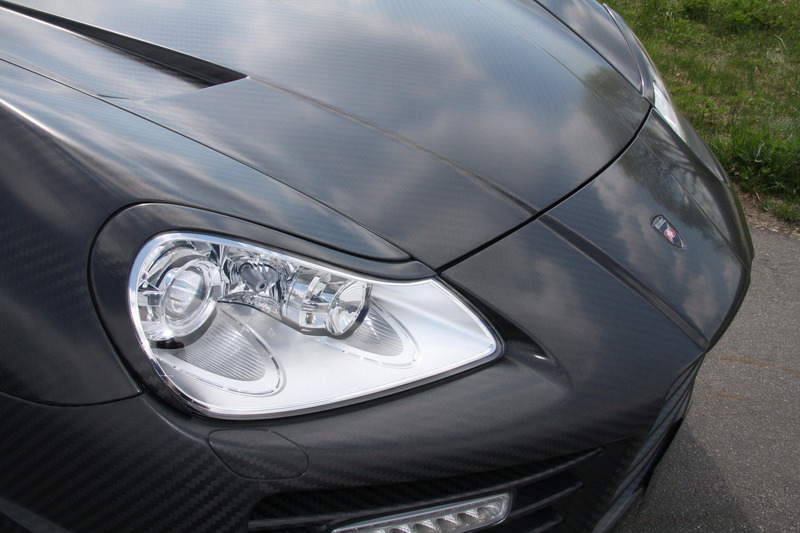 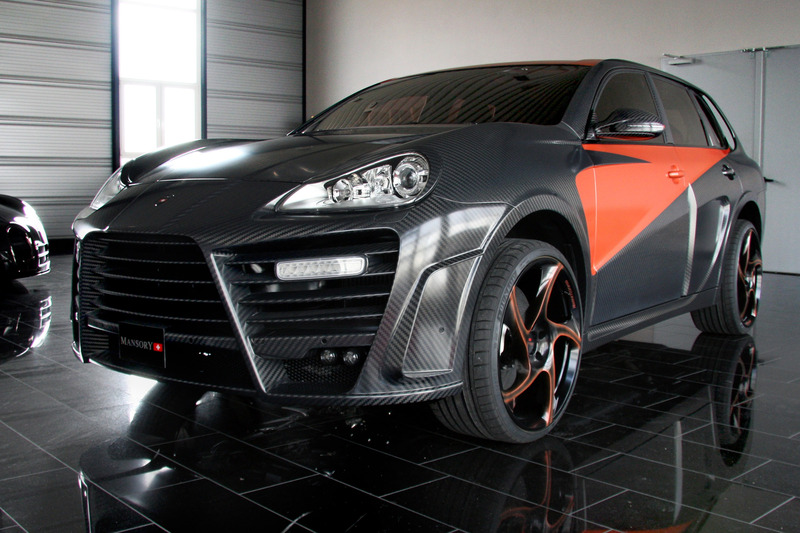 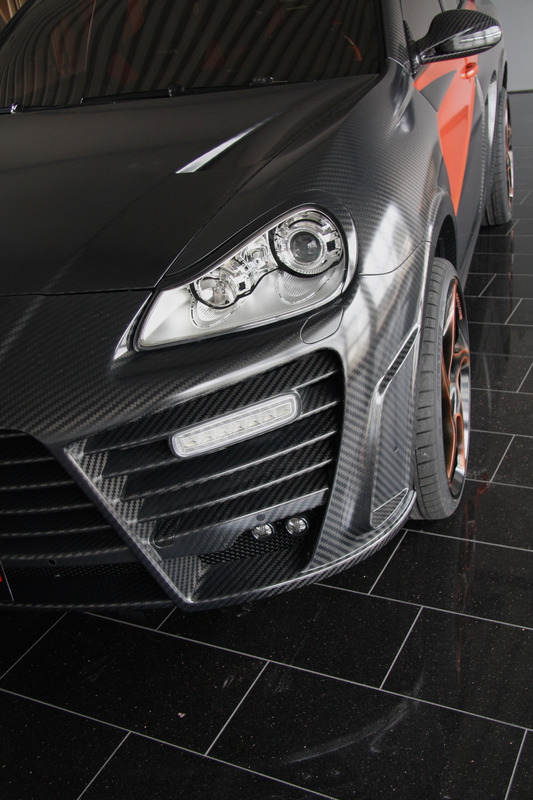 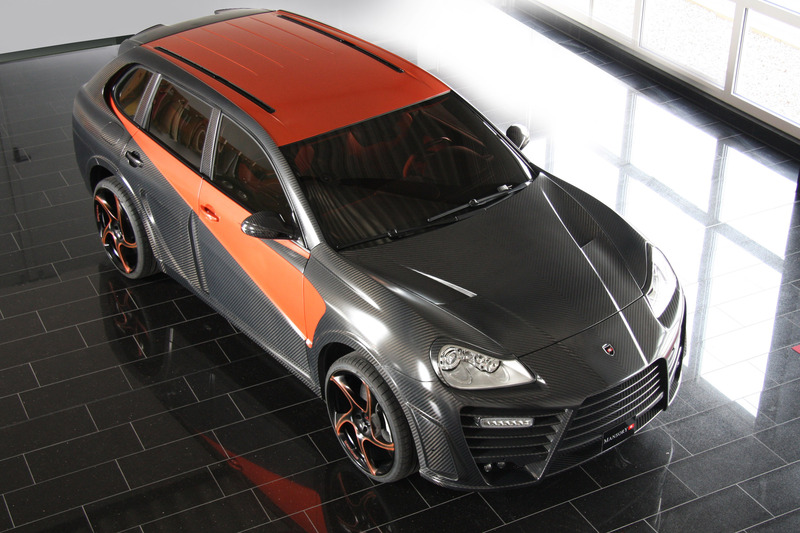 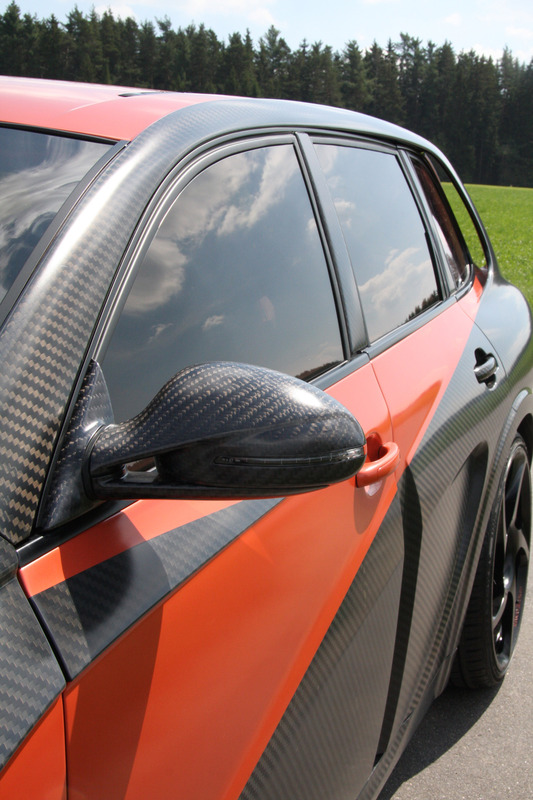 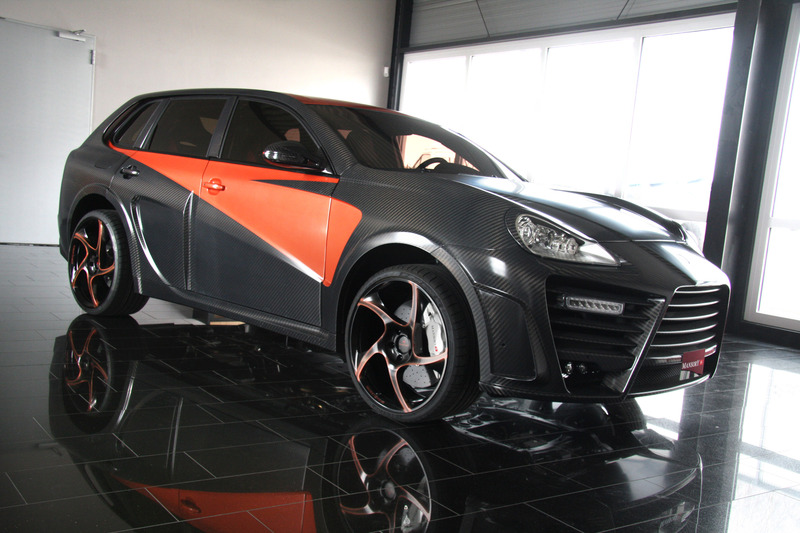 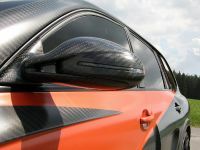 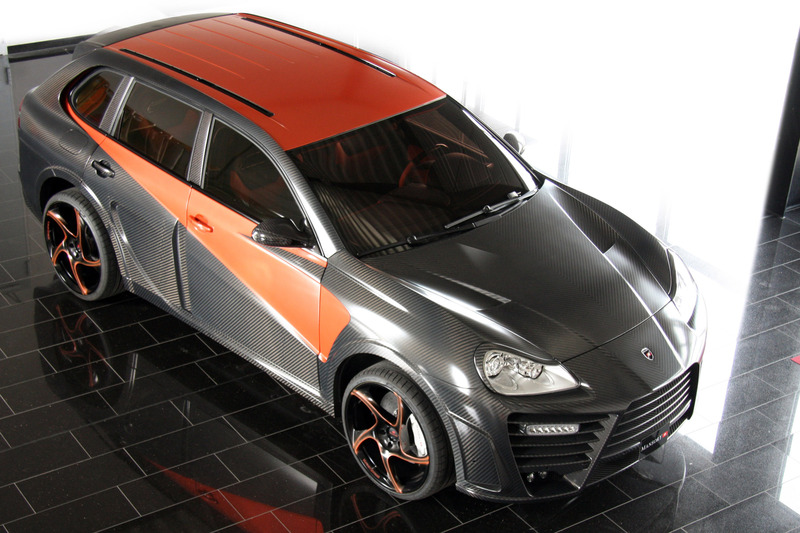 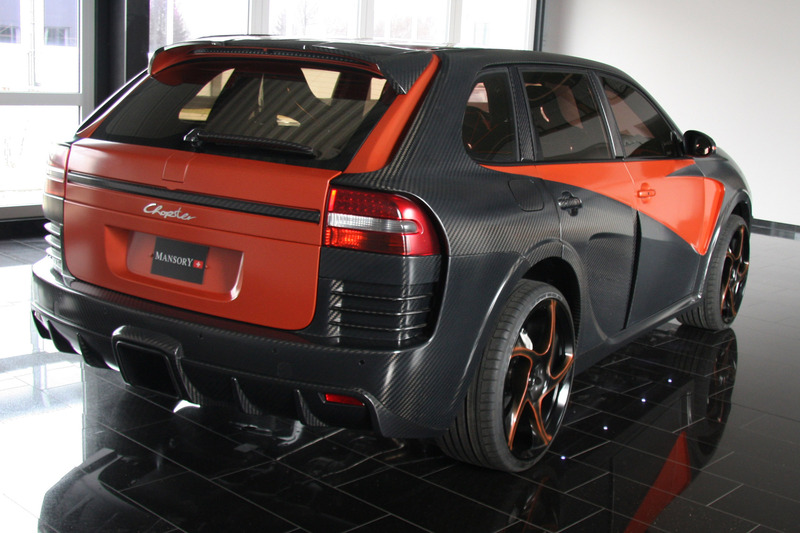 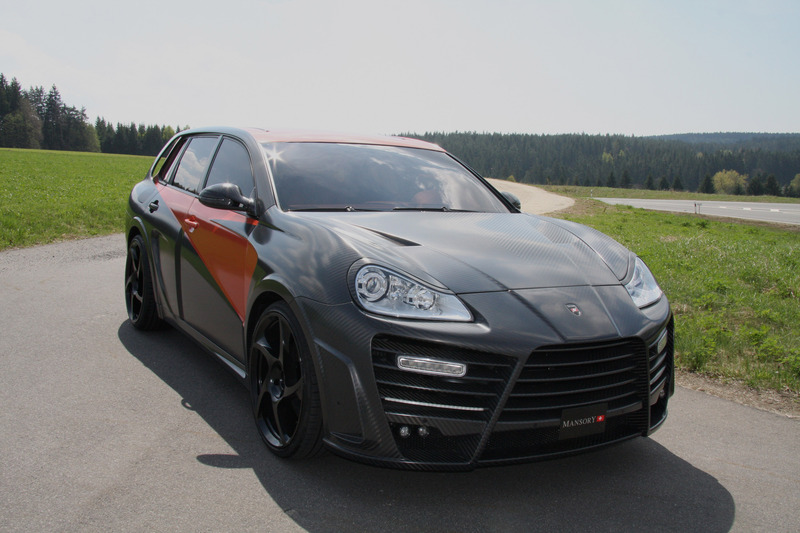 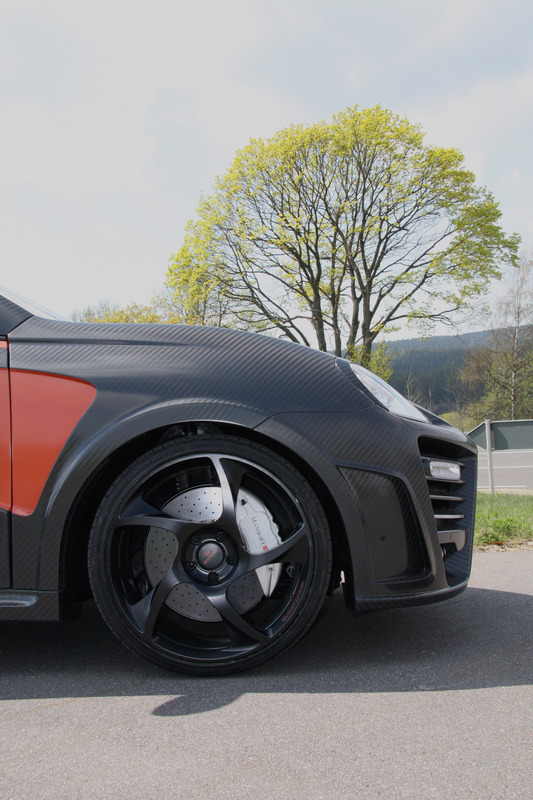 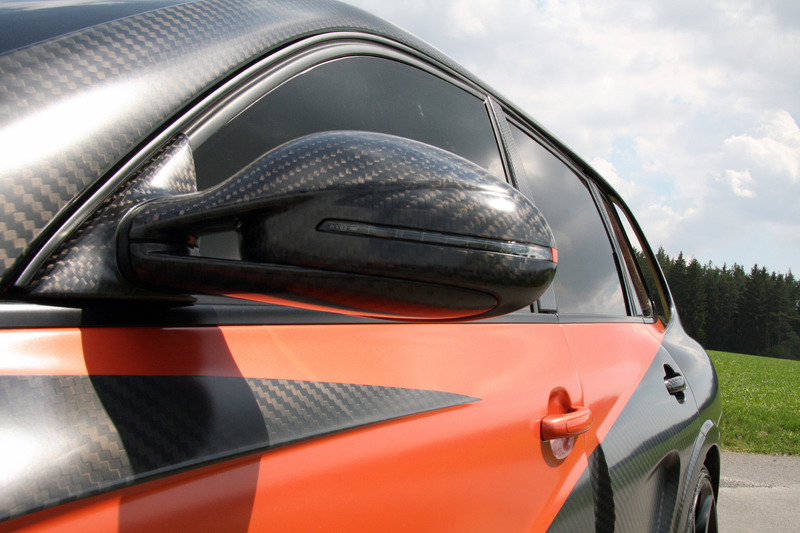 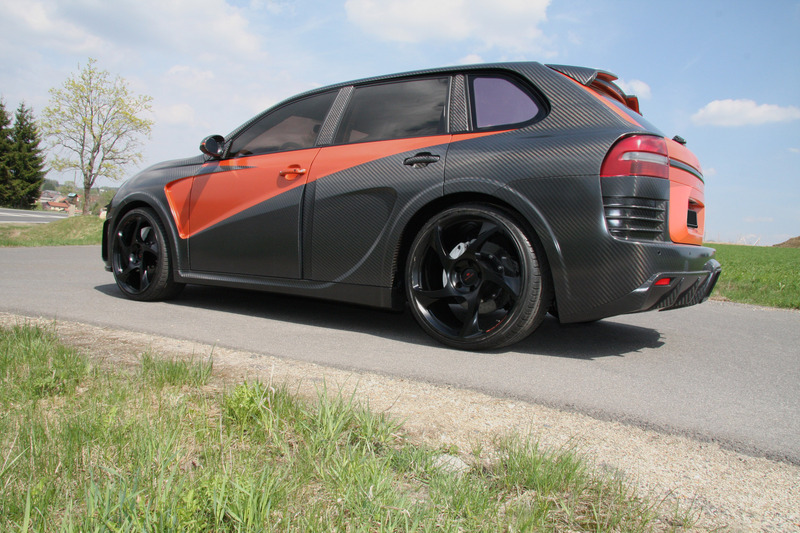 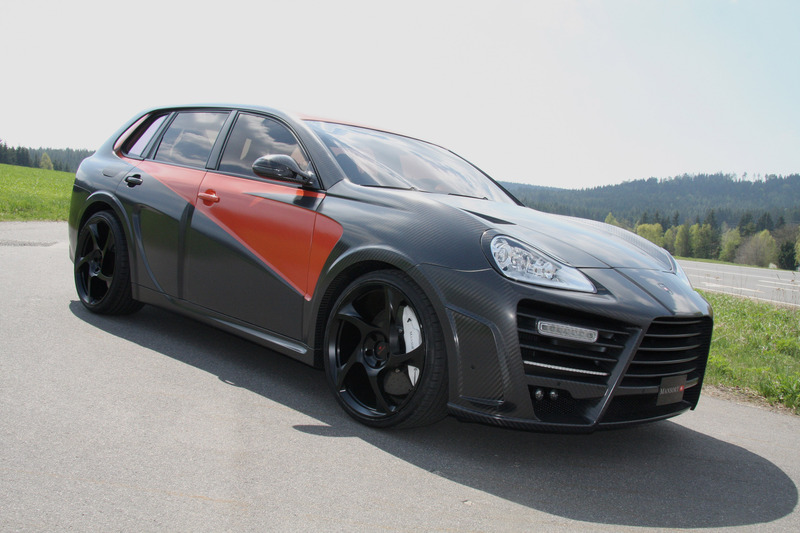 Carbon as far as the eye can see Mansory relies on most modern manufacturing methods and solely uses the ultralight and high-strength material carbon for its extensive auto body modifications. 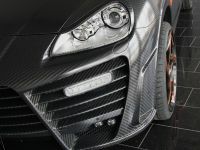 Whether front- or rear apron, doors, bonnet or the wings which broaden the cars by 80 millimetres - all components are formed out of carbon and hardened under strong pressure and high temperatures in the autoclave. 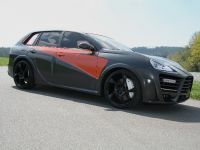 The advantages of the high-tech method are evident: reducing the car weight does not only improve the acceleration values, but also reduces the braking distance and the fuel consumption of the Chopster. 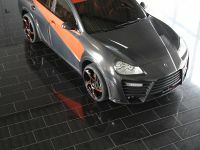 The roof line is lowered by 60 millimetres and therefore the lower front surface confirms the sportive look and within the overall package, it leads to elaborate aerodynamics and an exciting appearance. 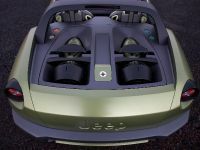 Large air inlets provide an optimal air supply for the drive unit. 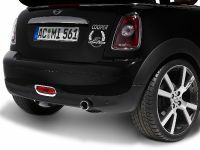 Four extra headlights increase the passive safety and underline the sportive-dynamic look. 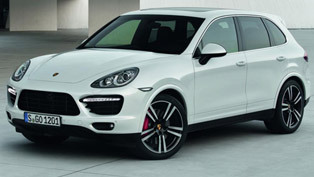 Powerful performance enhancement for better elasticity and more driving pleasures Apart from the auto body, also the charged serial power engine of the Porsche receives an impressive makeover. 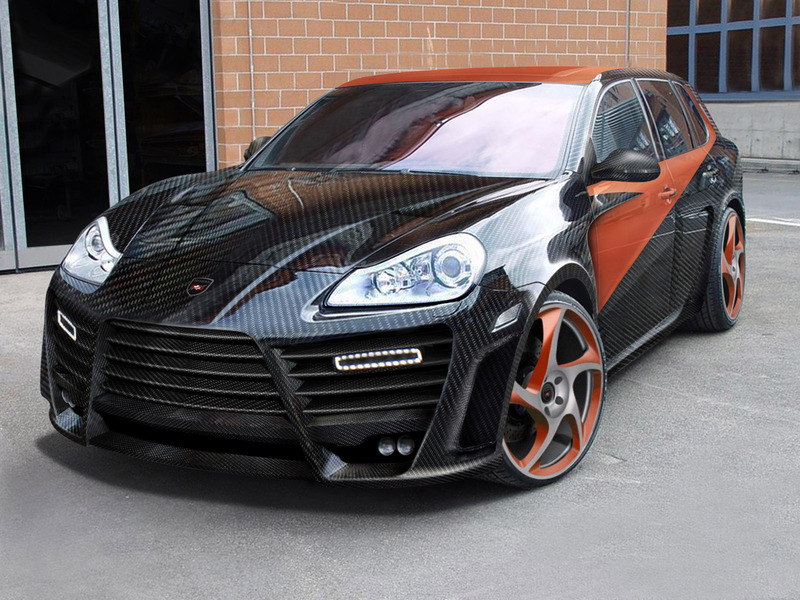 The Mansory engine department exchanges the serial turbo loader with larger specimen. 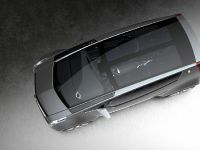 An adjusted engine management and a significantly improved fresh air supply result in a remarkable increased efficiency. 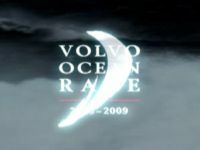 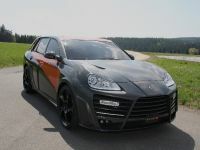 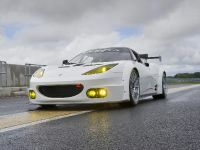 The modified V8 therefore mobilises 710 hp / 522 kW and a maximum torque of 900 Nm and achieves a maximum speed of 302 km/h. 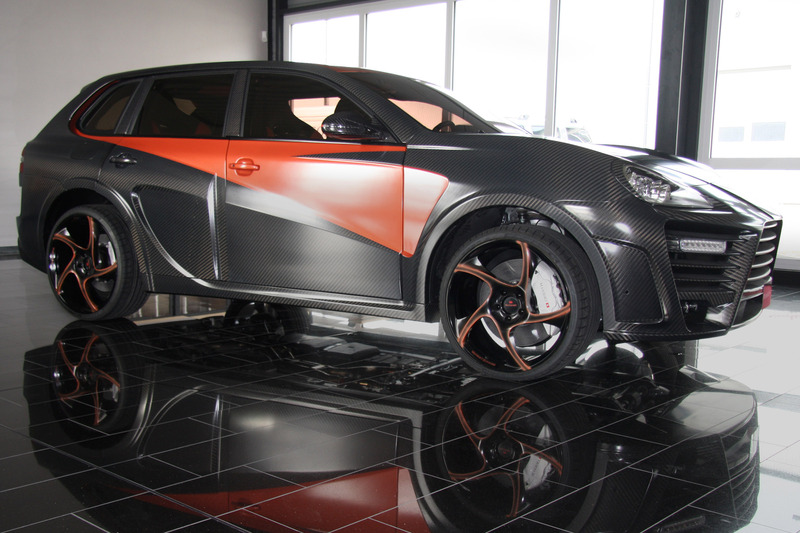 A sport exhaust system with an optimised off-gas stream perfects the Mansory engine upgrade. 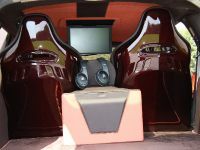 A proprietary development consisting of a racing header and a four-pipe baffler regulates the sound scenery through the integrated valve control and the driver can select a restrained sonorous or a powerful and voluminous sound. 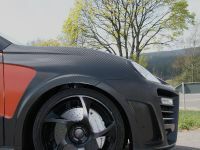 Wheel, brakes and running gear – Components for best road holding characteristics and dynamic appearance An opulently dimensioned sport brake system provides the Chopster with excellent deceleration values. 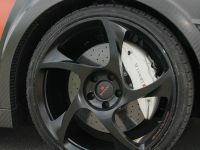 Brake discs sized 420 x 40 mm (at the front) and 375 x 30 mm (at the back) are grabbed by the front eight- and the back four piston system. 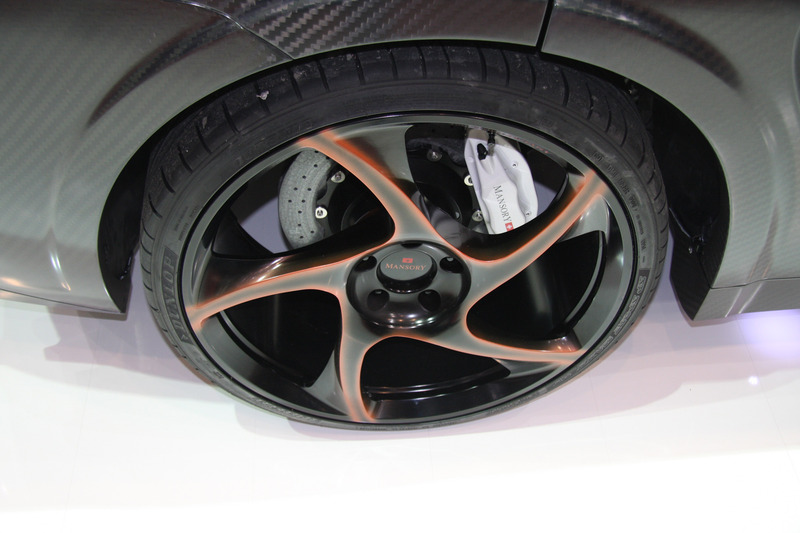 There is a matching special wheel/tyre combination which easily offers the larger braking system enough space. 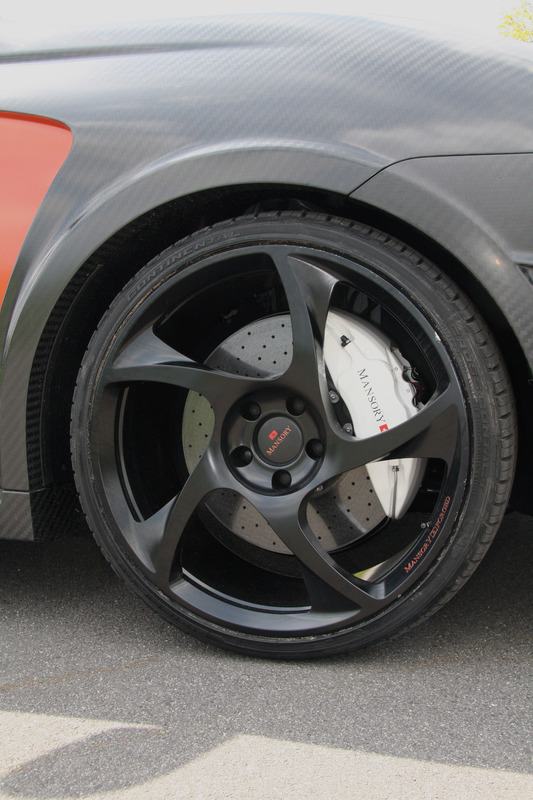 The fully forged 11x23 inch mono block rims in turbine design and the Michelin Latitude-tyres sized 315/25/23 perfectly fit under the broadened Chopster wing. 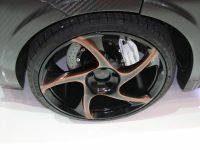 By the Mansory sport module for air suspension control, the XXLwheels are additionally enhanced. 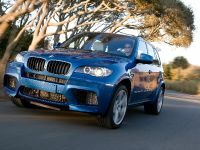 If desired, the SUVs centre of gravity can be lowered by 45 millimetres. 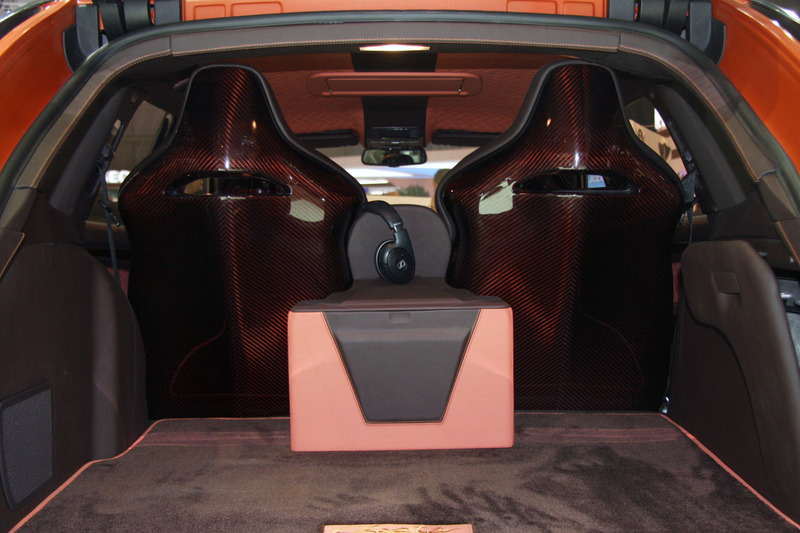 Interior design without any limits The interior is equipped with most precious materials and render comfort. 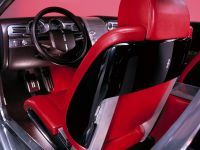 The leather used for the Chopster interior is fabricated by master hand and extremely resilient, but still exceptionally soft. 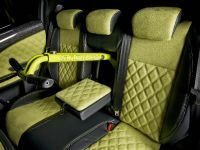 Only perfect leather skins are integrated into the Chopster interior and embellished with discreet decorative stitching by the Mansory upholstery experts. 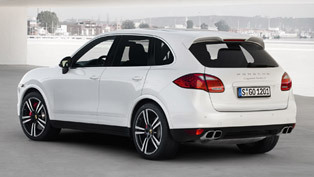 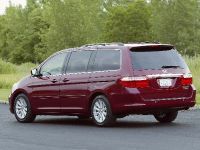 Single back seats render an extravagant flair and offer the passengers bestpossible hold. 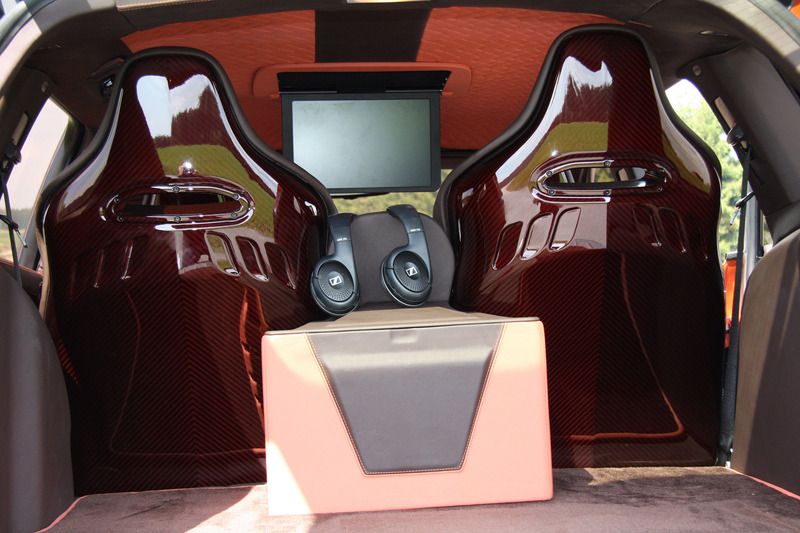 Equipped with a fridge, monitor screens in the front head rests, DVD player and laptop with internet access, no customer wish remains unfulfilled. 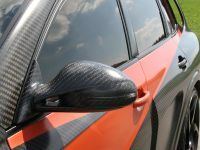 The newly designed airbag sport steering wheel, the pedals made of aluminium and the real carbon applications perfect the exquisite overall impression in the Chopster. 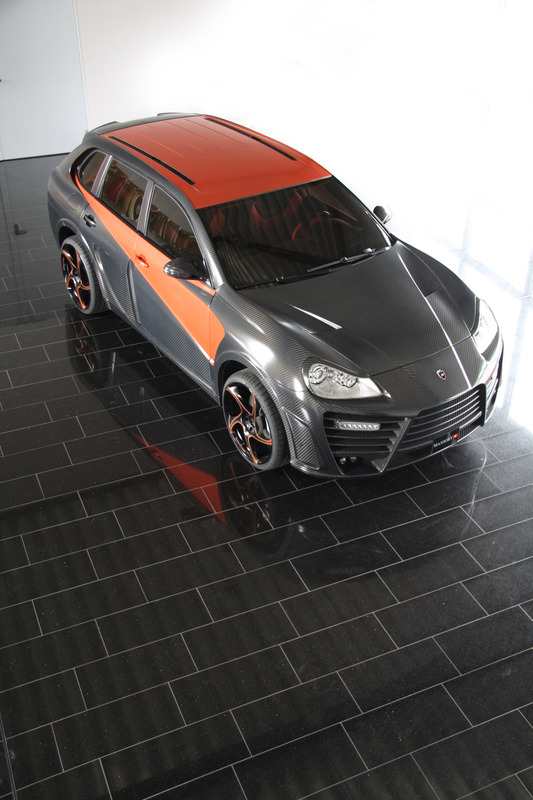 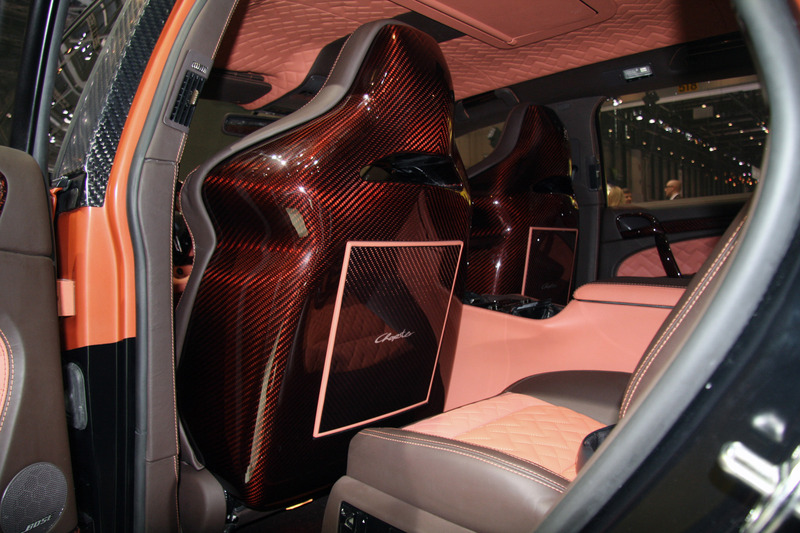 Mansory managed a perfect symbiosis between dynamic functionality and luxurious ambience.